Your social network is just like your business, and a successful business is the business that brings you money. Monetizing a social network doesn’t have to be hard, and we make sure you have the right monetization tools to get things started. In order to receive payments on your site (for subscriptions, ads, sponsor blocks, e-gifts, etc. ), it is necessary to set up a payment gateway. By default, phpFox offers Paypal as a payment gateway. It gives you the best of what the company can provide for online payments. 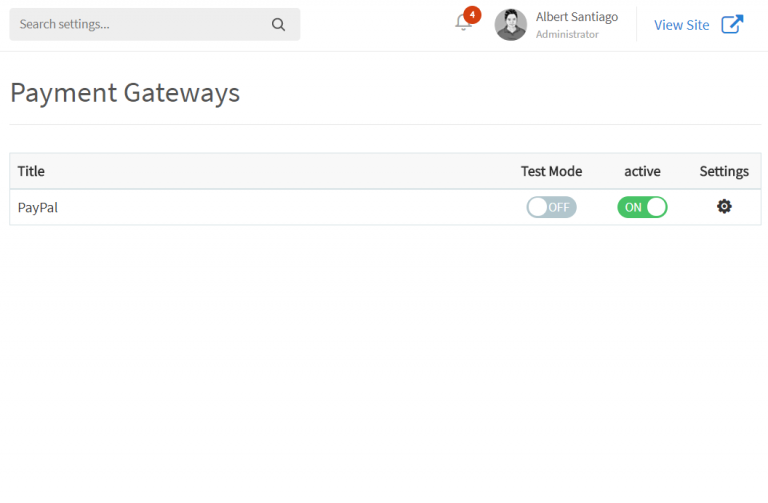 3rd party developers also provide more plenty of payment gateways from their app. 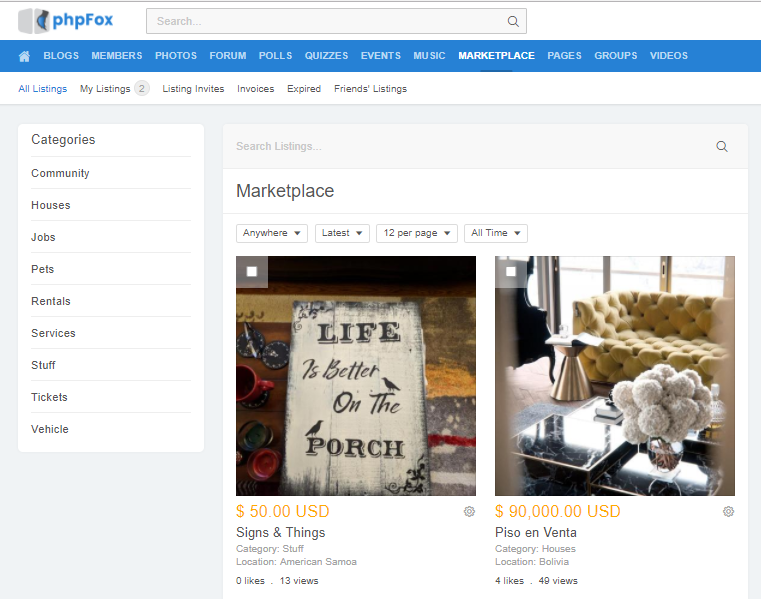 Marketplace is an app of phpFox which allows your users to discover, buy and sell items in your community. You can create as many categories as you want for your marketplace. Your users can easily add new listings and configure the price for it. By using our search filter your users can easily find the listings they are looking for. 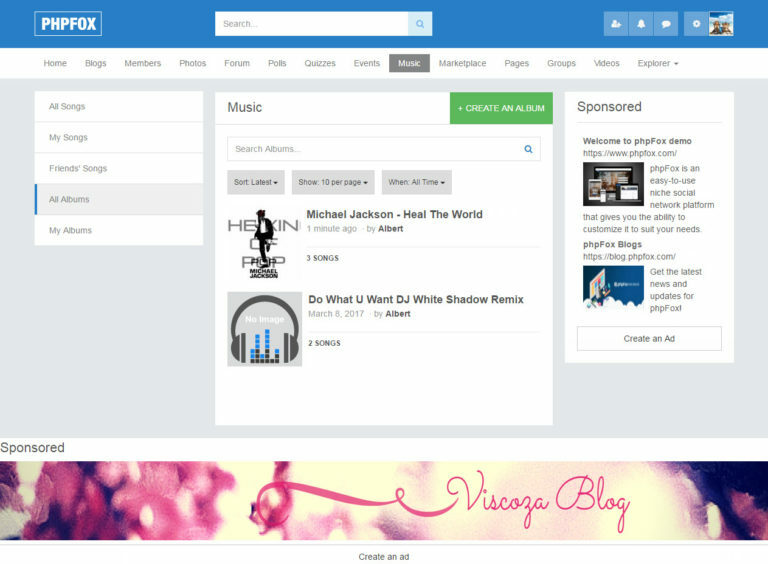 You can monetize your social network with our advanced ad campaigns. The ads can be targeted to audiences base on their location, gender, and even their age group. Your users can easily create ads using our advanced ad designer and you get full control how much ads cost, specify when an ad campaign starts and ends. When you create subscriptions you can create custom user groups that can do special things other user groups cannot do and you can charge for these features. With this feature, you can start making money right away. 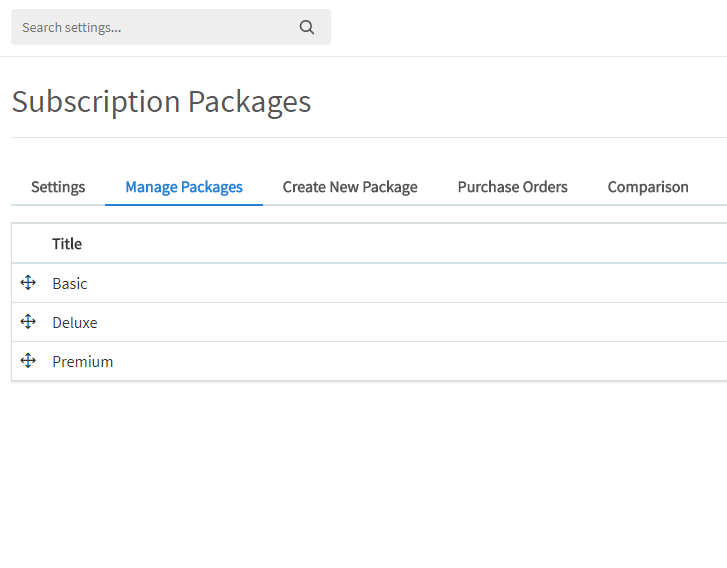 You can create subscription packages that can connect to a user group with special “powers” other user groups don’t have. Advertising is very important part of any website. It helps to draw the attention of your users to a specific item. 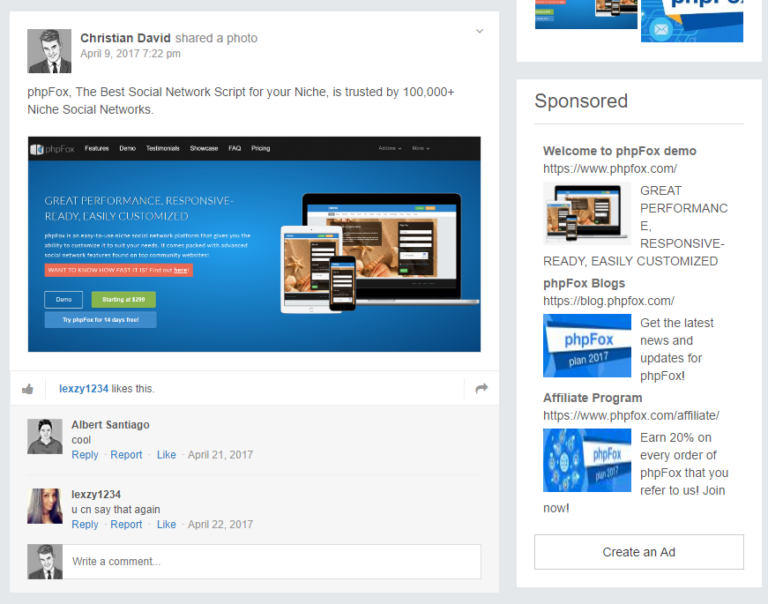 The Better Ads not only includes almost all features of our Basic Ads but also have many enhancements in order to give the best tool for ads. Ads can be created as banner ads or HTML block with text and image.